Area: 316 sq. km. (122 sq. mi. ); about twice the size of the District of Columbia. Major cities: Valletta (capital), Sliema, Birkirkara. Nationality: Noun and adjective: Maltese. Ethnic groups (2009): Over 96% of Maltese citizens are ethnic Maltese. Religion (2008): Roman Catholic 98%. Education (2006): Years compulsory: until age 16. Attendance — 92.7%. Literacy — 93%. Health (2009): Infant mortality rate (per 1,000 live births) — 5.3%. Life expectancy at birth (2009 est.) — males 77.7 years, females 82.2 years. Labor force (2009): 161,850. Agriculture, hunting, and forestry 1.3%; manufacturing 15.1%; electricity, gas, and water supply 2.2; construction 7.2%; wholesale and retail trade, repairs 15.5%; hotels and restaurants 8.2%; transport, storage, and communication 8.4%; financial intermediation 3.7%; real estate, renting, and business activities 7.5%; public administration and defense, compulsory social security 9.0%; education 8.4%; health and social work 7.7%; other community, social, and personal service activities 4.8%. Constitution: 1964 (independence); revised 1974 (republic); numerous revisions. Branches: Executive: president (chief of state), prime minister (head of government), cabinet. Legislative — unicameral House of Representatives. Judicial — Constitutional Court. Political parties: Nationalist Party, Labor Party, Alternative Demokratika (Green Party). GDP (2010, Malta National Statistics Office): $8.851 billion. Annual growth rate (2010): 1.7%. Per capita income (2009): $17,929. National resources: Limestone, salt, arable land. GDP composition by sector (value added gross, 2009): Services (60.69% of GDP). Industry (17.31% of GDP): Types — food, beverages and tobacco, raw materials, mineral fuels, lubricants and related materials, animal and vegetable oils and fats, chemicals, semi-manufactured goods, machinery and transport, electrical and optical equipment, miscellaneous manufactured articles, miscellaneous transactions and commodities. Agriculture and fisheries (1.94% of GDP): Products — fodder crops, potatoes, onions, Mediterranean fruits and vegetables. Public administration and defense, compulsory social security: 7.07% of GDP. Education: 6.07% of GDP. Health and social work: 6.91% of GDP. 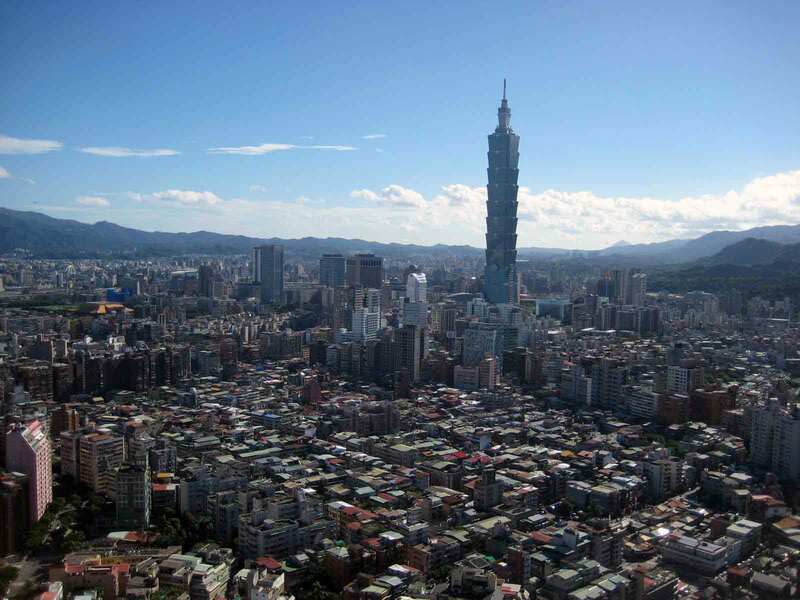 Trade (2010): Exports: $2.935 billion. Types — machinery and transport equipment, miscellaneous manufactured articles, chemicals, semi-manufactured goods, food, mineral fuels, lubricants, and related materials, beverages and tobacco, raw materials. Major markets — European Union, Eurozone area, Asia, North and Central America. Imports — $4.841 billion. Types — Machinery and transport equipment, miscellaneous manufactured articles, semi-manufactured goods, food, mineral fuels, lubricants and related materials, chemicals, beverages and tobacco, raw materials, miscellaneous transactions and commodities. Major suppliers — European Union, Eurozone area, Asia, North and Central America. Budget (2011 estimates): Revenues $3.88 billion; recurrent expenditures $3.53 billion; capital expenditures $611.1 million. 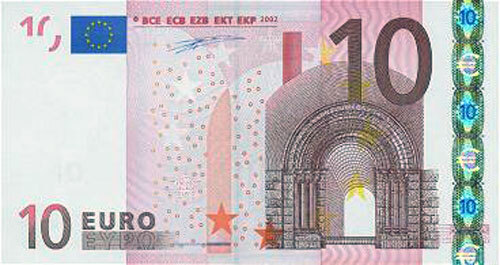 Average exchange rate (2010): $1=Euro 0.755 (rate fluctuates). Malta is one of the most densely populated countries in the world, with about 3,423 inhabitants per square mile (1,322 per square kilometer). Inhabited since prehistoric times, Malta was first colonized by the Phoenicians. Subsequently, Romans, Arabs, Normans, the Knights Hospitallers of St. John of Jerusalem of Rhodes and of Malta, and the British have influenced Maltese life and culture to varying degrees. There are over 16,000 foreigners residing in Malta. The last decade saw an influx of Europe-bound migrants from sub-Saharan Africa, with some 4,000 in the country as of 2010. There was also a growing North African community of about 4,000 as of 2007. The constitution establishes Roman Catholicism as the religion of Malta; however, it also guarantees full liberty of conscience and freedom of worship and a number of faiths have places of worship on the island. Malta has two official languages — Maltese (a Semitic language with much vocabulary of Arabic origin and borrowed from Sicilian Italian) and English. The literacy rate has reached 93%, compared to 63% in 1946. Schooling is compulsory until age 16. The people of Malta rose against French rule, which lasted 2 years, and with the help of the British evicted them in 1800. In 1814, Malta voluntarily became part of the British Empire. Under the United Kingdom, the island became a military and naval fortress, the headquarters of the British Mediterranean fleet. During World War II, Malta survived relentless raids from German and Italian military forces (1940-43). In recognition, King George VI in 1942 awarded the George Cross "to the island fortress of Malta — its people and defenders." A crucial moment in Maltese history was August 15, 1942, when five out of the 14 vessels that formed part of "Operation Pedestal," including the American tanker SS Ohio, broke through the Nazi blockade of Malta to deliver fuel and food to the starving population. The arrival of the vessels was the turning point in the Maltese islands' fate during World War II, and became known locally as the Santa Marija Convoy, in honor of the August 15 Feast of the Assumption, referred to locally as "Santa Marija." President Franklin Roosevelt, describing the wartime period, called Malta "one tiny bright flame in the darkness — a beacon of hope for the clearer days which have come." In September 1943, the Italian fleet's surrender was signed in Malta by U.S. General Dwight Eisenhower and Italian Marshal Pietro Badoglio. Victory Day, celebrated on September 8, commemorates victory in the 1565 Great Siege, and the end of the World War II attacks in Malta. Malta obtained independence on September 21, 1964, became a Republic on December 13, 1974. The last British forces left in March 1979. 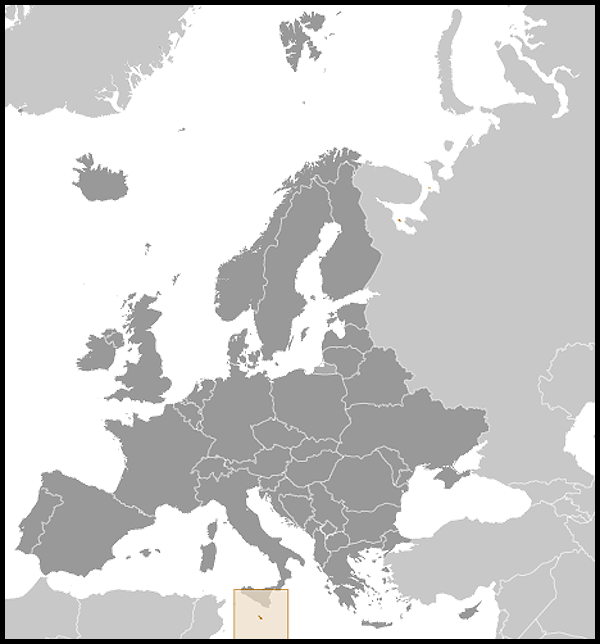 Malta joined the European Union (EU) on May 1, 2004. Under its 1964 constitution, Malta became a parliamentary democracy within the Commonwealth. Queen Elizabeth II was Malta's sovereign, and a governor general exercised executive authority on her behalf, while the actual direction and control of the government and the nation's affairs were in the hands of the cabinet under the leadership of a Maltese prime minister. On December 13, 1974, the constitution was revised, and Malta became a republic within the Commonwealth, with executive authority vested in a Maltese president. The president is appointed by parliament. In turn, he generally appoints as prime minister the leader of the party that wins a majority of seats in a general election for the unicameral House of Representatives. The president also nominally appoints, upon recommendation of the prime minister, the individual ministers to head each of the government departments. The cabinet is selected from among the members of the House of Representatives, the number of which may vary between 65 and 69 members elected on the basis of proportional representation. The constitution provides for general elections to be held at least every 5 years. Candidates are elected by the Single Transferable Vote system, where the surplus votes of an elected candidate are transferred to the candidate receiving the second preference votes. The process of vote transfers continues until all five candidates for a district are elected. Malta's judiciary is independent. The chief justice and 20 judges, one of whom is currently serving in an international court, are appointed by the president on the advice of the prime minister after consultation with the leader of the opposition. Their mandatory retirement age is 65. The highest court, the Constitutional Court, hears appeals in cases involving violations of human rights, interpretation of the constitution, and invalidity of laws. It also has jurisdiction in cases concerning disputed parliamentary elections and electoral corrupt practices. The court of appeal hears appeals from the civil court and various boards and tribunals, including the Industrial, Small Claims, and Consumers' Tribunal, a court of criminal appeal and a criminal court, where a presiding judge sits with a jury of nine. The court of criminal appeal hears appeals from those convicted by the criminal court. There is also a juvenile court. There are also inferior courts presided over by a magistrate. 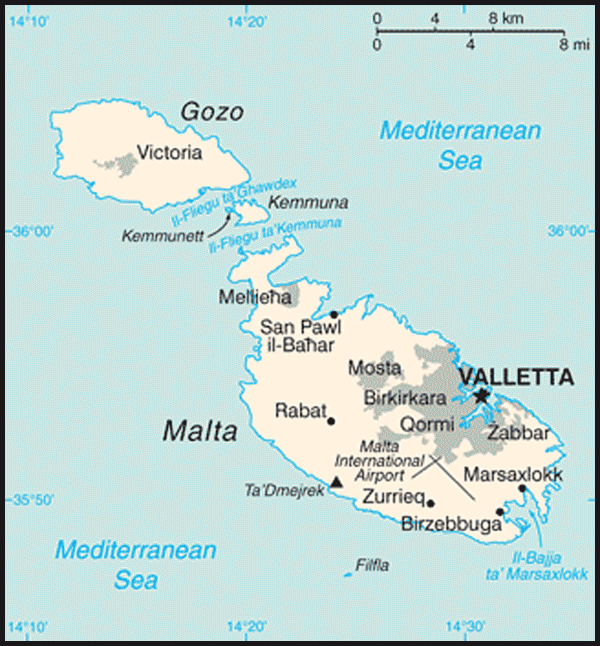 The Local Councils Act, 1993, which was drawn up on the European Charter of Local Self-Government, divided Malta into 67 (later 68) localities; 14 are in the smaller island of Gozo. Councilors are elected every 3 years by inhabitants who are registered as voters in the Electoral Register. Recent changes to the legislation will gradually increase the councils' life span by 1 year with elections being held every 4 years. Provisions in the law were also made for communities, with elected representatives, to be established within localities and for an elected chairperson to sit in on council meetings. Local council elections are held by means of the system of proportional representation using the single transferable vote. The mayor is the head of the local council and the representative of the council for all effects under the act. The executive secretary, who is appointed by the council, is the executive, administrative, and financial head of the council. All decisions are taken collectively with the other members of the council. Local councils are responsible for the general upkeep and embellishment of the locality, local wardens, and refuse collection; they carry out general administrative duties for the central government, such as collection of government rents and funds and answering government-related public inquiries. The act also provides for councils to make, amend and revoke bye-laws as necessary for the better execution of the councils' functions and to improve the localities' environment. Two parties dominate Malta's polarized and evenly divided politics — the Nationalist Party, led by Prime Minister Lawrence Gonzi, and the Malta Labor Party. In 2008, the Malta Labor Party renamed itself simply the Labor Party (Partit Laburista (PL) and chose a new leader, former European Parliament member Joseph Muscat. Elections invariably generate a widespread voter turnout; in March 2008 the turnout was 93%. The margin between the two parties is so narrow that a 52% share of the votes is considered a "landslide" for the winning party. In the March 2008 elections, the Nationalist Party won reelection with 49.3% of the vote, earning it 35 seats, while the Labor Party received 48.8% of the vote (and 34 seats). While the two main parties dominate, two other parties were on the ballot in 2008, Alternative Demokratika (Green Party) and Azzjoni Nazzjonali (National Action — which since then has disbanded as a political party and become a registered non-governmental organization); neither managed to secure a seat in parliament. In the second round of European Parliament elections, held in June 2009, five seats were won by the two incumbent Nationalist Party candidates (aligned with the European People's Party - EPP) and three Labor Party candidates (aligned with the Progressive Alliance of Socialists and Democrats - SD), including the two Labor incumbents. A fourth Labor candidate also was elected and will be seated once changes in the EU structure brought about by the Lisbon Treaty are fully implemented and Malta thereby receives a sixth seat in the European Parliament. During the second quarter of 2010, Malta's economy grew at a slower pace, while first-quarter growth was reported as 3.4%. Economic growth for 2011 is expected to reach a little over 2%. Possessing few indigenous raw materials and a very small domestic market, Malta's economic development since the beginning of the 1990s has been based on tourism, accounting for roughly 30% of GDP, and exports of manufactured goods, mainly semi-conductors, which account for some 78% of total exports. Tourist arrivals and foreign exchange earnings derived from tourism have steadily increased since the late 1970s. The introduction of low-cost flights in 2007 was the main contributor to the 10.6% increase in tourist arrivals over 2006. During 2009 the tourism industry faced a difficult external environment, as Malta's major source markets were severely affected by the global recession. This was reflected in an 8.4% drop in tourist arrivals, to about 1.2 million. The tourism industry picked up in 2010, with outbound passengers totaling 294,053, an increase of 11% over 2009, and inbound tourists topping 1.3 million, an increase of 13% over 2009 and an all-time high for the Maltese islands. Increases were recorded in both the number of repeat tourists and first-time visitors. The cruise liner sector, which experienced 26.6% growth in 2007, saw passenger arrivals decline by 20.9% in 2009. The sector recuperated in 2010, with cruise passengers totaling 491,201, up by 11.7% over the previous year. Malta has a relatively flexible labor market. Unemployment was 10% for 2010. With its highly educated, English-speaking population, Malta has seen growth in high value-added manufacturing and in the services sector, away from the traditional low-cost manufacturing in textiles. The banking system remains highly concentrated, with two of the four local commercial banks accounting for about 90% of total loans and deposits. The Maltese Government has pursued a policy of gradual economic liberalization, taking some steps to shift the emphasis in trade and financial policies from reliance on direct government intervention and control to policy regimes that allow a greater role for market mechanisms. Malta's accession into the EU marked the total dismantling of protective import levies on industrial products, increasing the outward orientation of the economy. Malta joined the Exchange Rate Mechanism II (ERM-II) in 2005 to put itself on the path to enter the Eurozone, and in January 2008 it formally adopted the Euro as its official currency. Consolidation of public finances has improved over recent years. The budget deficit was revised as of December 2010, amounting to 3.63% of GDP according to the Malta National Statistics Office. Malta's diplomatic and consular representation includes accreditation to 167 foreign countries and international organizations. Malta is host to 26 resident diplomatic missions, and 142 countries have non-resident diplomatic representation. With its central location in the Mediterranean, at one of the southernmost points of the European Union, Malta has long viewed itself as a bridge between Europe and North Africa, particularly Libya, with which it historically has enjoyed close diplomatic and commercial ties. During the period of rebellion in Libya that began in February 2011, Malta played an important role in supporting evacuation of third-country nationals, coordinating humanitarian aid to the people of Libya, and providing general assistance to forces of nations involved in enforcement of UN Security Council Resolutions 1970 and 1973. Malta is an active participant in the United Nations, the Commonwealth, the Council of Europe, the Organization for Security and Cooperation in Europe (OSCE), and various other international organizations. In addition, Malta rejoined NATO's Partnership for Peace in 2008 shortly after national elections. In these fora, Malta has frequently expressed its concern for the peace and economic development of the Mediterranean region. The Nationalist Party government is continuing a policy of neutrality and nonalignment but in a Western context. The government desires close relations with the United States, with an emphasis on increased trade and private investment. U.S. Navy ships resumed liberty calls in 1992 and currently visit on a semi-regular basis. Malta and the United States established full diplomatic relations upon Malta's independence in 1964; overall relations are currently active and close. The United States has been supportive of Malta's campaign to attract private investment, and several U.S. firms are operating in Malta. These include major hotels, manufacturing and repair facilities, and some offices servicing local and regional operations. In an effort to further boost trade relations, the United States and Malta signed a double taxation agreement in August 2008, which following U.S. Senate ratification came into force in January 2011. A refugee resettlement program, whereby over 750 third-country migrants have been resettled in the U.S. from Malta, remains in place. Charge d'Affaires, a.i. : Richard M. Mills, Jr. The U.S. Embassy in Malta is located at Ta'Qali National Park, Attard, ATD 4000, Malta; tel: (356) 2561-4000; fax: (356) 2124-3229; web page: (http://malta.usembassy.gov/).